What do you write? Not so long ago, most authors had to choose a genre and stick to it. But many of us are far more versatile. Our minds and our hearts don’t stand still. Book by book, we push boundaries or leap into genres where we hadn’t previously felt at home. As life reinvents us, we move on in our work. No-one worried about that in the Renaissance, but it rarely went down well in traditional publishing, perhaps for sound commercial reasons. But now authors have more tools to reach audiences by our own efforts. We can take charge of our careers and our creative destinies. Will this breed of polyphonic, genre-agile author finally have their day? This path isn’t always easy, and that’s what I want to explore today. 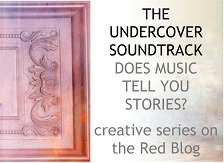 You might recognise my interviewee – Victoria Dougherty, who recently hosted me on her blog and has also been a guest on The Undercover Soundtrack. We’ve both got eclectic portfolios. 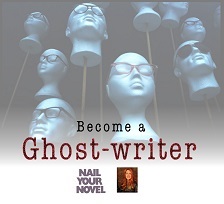 I’ve done non-fiction with my Nail Your Novel books and literary fiction that sometimes nudges into futurism. Victoria writes Cold War historical thrillers and personal essays. We’ve both written memoir after a fashion – she has Cold; I have Not Quite Lost. And Victoria has a radical new departure into young adult historical romance, Breath (coming summer 2018). What’s more, she’s having her first stab at crowdfunding – another brave new world. We’ll come back to the crowdfunding in a bit. My first question was this: how have you ended up with such a varied oeuvre? Victoria Honestly, I think I’m just bored easily. And I’m usually writing more than one story at a time, too. I find it keeps the creative juices flowing and also adds texture to my work. Roz How do you manage them all? Victoria Currently, I’m switching between Breath edits, storyboarding a new Cold War thriller, and writing essays on everything from family squabbles to creating compelling male characters. Roz So much for versatility. What’s consistent in your work? Victoria History, spirituality, family lore, dark humour. All of those tend to find their way into my work in one way or another. Roz I have recurring themes too. I am curious about forces that lie beneath the surface; unusual ways we can be haunted and how we seek soulmates. At heart I’m an unashamed romantic. Places with lively pasts are often a trigger for me – crumbled mansions, houses scheduled for demolition, seaside towns closed for the winter. Victoria I’m so with you on this, and I, too, get haunted by places. I wrote The Bone Church after visiting an ossuary near Prague with my then infant son. There were bones piled up all over the place. It occurred to me how there were so many different manners of death in that small chamber. People who had died of childbirth, a sword to the ribs, plague, a broken heart. The whole experience made me ache – but in a good way. Roz Your latest project is for a new audience – YA fantasy. What steered you in this direction? Victoria I never thought I’d write in this genre. Especially a romance, which is a genre I haven’t read very much of. But several years ago, I wrote a piece for the New York Times Modern Love column in their Sunday edition. It was about my youngest daughter being born with a catastrophic illness and how that brought my mother and me closer together. It was also about the curious, counter-intuitive blessings that come with tragic events. Things like wisdom, deeper friendships and getting to know people so far out of my own little universe. Hospitals are tremendously equalising that way. I could not have imagined the response I got from that essay. People began writing to me, telling me about their stories – their love stories specifically. I have a blog, Cold, where I write personal essays, so it wasn’t entirely out of the ordinary for people to tell me about their lives, but this was different. Without meaning to, I started training my writer’s eye on love. I noticed that every time I wrote an essay about love – especially the romantic kind – there was a swell of interest. Then I started writing little love stories for my own amusement – sometimes no more than a paragraph long. One of those, about a girl born at the dawn of civilisation, became the basis for Breath. Roz And Breath is more than just prose, isn’t it? There’s artwork too. Victoria I’m a very visual person. I love old photographs especially, and as I was writing Breath, I dreamed up a pre-Sumerian civilisation and imagined myself on an archaeological dig, excavating my characters’ lives. That’s when I started thinking of adding a visual component to this novel – original artwork from the world I’d dreamed up and old, brown-tinted photographs from some of the great archaeological digs, like the ones taken in Egypt at the beginning of the 20th century. And I loved the idea of writing about past, present, and perhaps even future archaeologists, as they uncovered my fictional universe and helped my characters solve the mysteries of their existence. Roz So the visuals will be published in the book? Or will they be a separate special edition? Victoria Both. I think prose and images go together like a face and a voice and can really enhance a story – especially if it’s a planned epic, where a whole world is being created. This isn’t to spoon-feed a certain aesthetic to a reader, never that, but to enhance their experience with elements of beauty and mystery that go beyond the written word. Take their imaginations even further. Roz Let’s talk about crowdfunding Breath. How did that happen? Victoria I’m one of 10 authors selected by Instafreebie – a company that connects readers and authors – to pilot a program that teaches authors how to use crowdfunding not only to fund projects but to energise and expand their fan base. Roz To me, crowdfunding has one rather offputting aspect – having to push for contributions. But obviously you’ve found a balance that suits you. Tell me how you do it – and how other authors might be persuaded to embrace it! Victoria This is without a doubt the hardest thing to get over. I’ve come to look at it this way: crowdfunding is a bit like venture capital for artists. No-one blinks when any other business raises money, but somehow artists are expected to self-finance, often work for free and even give their work away without any compensation. I don’t subscribe to that way of thinking and in fact find it untenable. Roz I’m totally with you there. I’ve blogged about it at length elsewhere. We can’t give the impression that books can be produced out of fresh air or just for love, like a hobby. Even priests and doctors get paid. All the other people who work for us need to be paid. Creating books is not free. And writing them isn’t either. Victoria For most artists, entrepreneurship is the only way we can continue to do what we do. We need to move beyond our own reticence and value what we offer. Joy, meaning, reflection, empathy, and entertainment are worthy and important elements in our lives. They should never be taken for granted. You mentioned doctors, so I’ve got a good analogy for you: I remember my doctor, who was from Sri Lanka and used to run a medical clinic for the poor there, telling me how once they started charging patients, the entire dynamic of the clinic changed. They were serving the poor, so they only charged a pittance, and were barely able to buy coffee with what they took in, but both the function and the spirit of the clinic changed remarkably. Not only did the patients become more vigilant about their health, they trusted the doctors more and were far more likely to listen to their advice and change unhealthy behaviours. The overall health of the clinic population improved as a result. The same is true with us artists and the people who consume our work, I think. It’s a pretty basic human response – to invest in something that means something to you rather than just be a passive observer. Roz I want to do some tyre-kicking here because what you say is so important. A lot of crowdfunding campaigns don’t meet their targets. How do we get people to care enough? Especially as readers could buy a book that’s already finished and have it immediately. What makes them want to pledge money and wait for the product? How are you tackling these challenges? Victoria Not only has this crowdfunding process forced me well beyond my comfort zone, it has illuminated how to deepen my relationships with present and future readers so that they feel connected and my characters begin to feel like a real part of their lives. Like family. Roz How are you doing that? Can you give examples? You’ve mentioned to me that it’s already been a formative and amazing experience. Tell me how! And what feedback have you had from supporters to show that it’s working? Victoria For me, it’s about creating value and making the experience as interactive as possible. Writers spend a lot of time alone and most of us are interior people, but we’re not necessarily introverts. We love being able to talk to readers and feel honoured when they share their stories with us. In fact, I truly consider readers like friends. We confide in each other, support each other, and are there during times of loneliness and self-doubt. The rewards I’m offering in my Breath campaign reflect that. It’s not only a matter of offering advance copies, which are great, but deleted scenes from the novel, personal emails, an exclusive short story and even story-consulting. Roz Are there any common mistakes that authors make with crowdfunding and community building? Victoria The first mistake is that they won’t try it. I can tell you without reservation that even if my campaign isn’t a funding success, what I will have learned and experienced in this process has been worth it. As for campaign mistakes – there are a lot of them, and I would have made them all if I hadn’t gotten such excellent advice from Instafreebie. Videos are crucial. People want to know who they’re dealing with. It builds trust and makes your page more interesting. Really thinking through rewards you offer, so that when people get involved, they feel like they got something substantial in return for their support. Always, always focus on the reader. That’s probably the most important part. Roz You mentioned that Instafreebie is helping with tactics, especially in terms of using the campaign to establish a long-term fanbase. How does that work? Can you tell us a few surprising things they’ve taught you? What is the basis of their expertise? Victoria First, they will be featuring our books in their newsletter and then sharing our campaigns with those who expressed interested in our genres. They’re doing their best to create a virtuous circle for us. Most importantly, they’ve taken us through – step by step – the way to build a successful campaign page. That doesn’t mean the campaigns themselves will all be successes – even veteran campaigners have unsuccessful campaigns under their belts – but it helps us minimise mistakes, certainly. Roz I want to return to where we started – the author who doesn’t fit into tidy boxes. There supposedly are two ways to market books – by category and by author. The latter is the slow road, because we have to seek commitment on a deeper and more individual level. But whatever we write, I think community will become more significant for all of us. 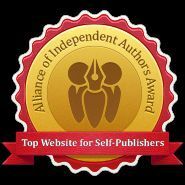 And everything you’ve been saying here chimes with this prediction by Orna Ross at the Alliance of Independent Authors. I love this emphasis on community. Although writing is apparently a solitary activity, we have phenomenal resources for harnessing the positive energy that readers give us if they like our work. I think readers enjoy keeping in touch and – like you say – feeling involved. I’ve particularly noticed it after publishing Not Quite Lost. People feel they know me. It opens a conversation and they want it to continue. And that’s lovely. It’s not cynical, about selling. Some authors are setting up private Facebook groups – though I feel that’s risky because Facebook likes to move the goalposts if they think they can monetise. I’ve started using my newsletter much more. In that past, I didn’t know what to do with it. What I’ve described here is slow, of course. It has to grow organically. And here’s where I guess crowdfunding creates an occasion, a way to invite people in because it’s the start of something. It not only kick-starts a book, it can kick-start your community. Have you got any final thoughts on this? Victoria You said it so well. We’re in this for the long game and it’s not cynical. It’s actually very special and deeply gratifying. You can tweet Victoria on @vicdougherty, find her blog here, here books here, and her Kickstarter campaign here. We’re in an age of new publishing models. And two of the emerging trends – crowdfunding and hybrid publishing – seem to meet in the organisation Unbound. The principle of Unbound is simple. Raise enough money to publish the first print run. After that, the profits of any sales are split equally between the author and Unbound. Two editions of the books are made; a special, higher-spec edition for subscribers, and an edition for the trade. When my friend Claire Scobie told me she was using Unbound to launch a UK edition of her novel The Pagoda Tree, I decided it was time to dig further. So as well as Claire (an Unbounder in progress), here are two fully graduated Unbounders – and clarifications from Unbound themselves. Salena Godden @salenagodden is a long-established spoken word artist, poet and memoirist. She tops the bill at literary events nationally and internationally and has numerous credits as a guest and a writer for BBC Radio and Channel 4 arts programmes and documentaries. Robert Llewellyn @bobbyllew is a writer, presenter and an actor in the cult BBC science fiction show Red Dwarf. He presented Scrapheap Challenge from 1998-2008 and now produces and presents Fully Charged, an online series about the future of energy and transport. He’s the author of 11 books, including non-fiction, humour, memoir and science fiction. Claire Scobie @clairescobie is the award-winning author of the travel memoir Last Seen in Lhasa and the novel The Pagoda Tree, chosen by Good Reading magazine as one of their Best Fiction Reads 2013. None of my panel are first-time authors (but first-time authors aren’t excluded, so read on). Salena has run the full gamut from indie to traditional. She self-published her own chapbooks in the 1990s, published her Fishing In The Aftermath poetry collection with indie publisher Burning Eye Books. And she crowdfunded her memoir Springfield Road with Unbound. Claire has a literary agent and has been traditionally published. Last Seen in Lhasa was placed with Random House UK. She’s based in Sydney, so she sold publishing rights of The Pagoda Tree to Penguin in Australia and New Zealand in 2013, but is now seeking wider exposure in English-speaking territories. UPDATE 1 July 2016 – Claire has now hit her funding target – so you can regard her advice as officially tested in battle! How are books chosen for Unbound? Here I’ll bring in Georgia Odd @whengoddcries), editorial and marketing assistant with Unbound. ‘We have a team of commissioning editors who both read submissions and scout for books and authors. The main things they are considering is the strength of the pitch – which might be the concept of a book, the writing or the author’s ability to crowdfund. The projects that work best have a great concept that can be easily explained in a line or two, and a clear audience who are already engaged with either the author or the topic. ‘We don’t always require a finished manuscript – particularly in cases where the author has a proven track record of strong writing – but with new authors we always ask for a substantial example of their writing. But can you bring your indie team? It’s likely, of course, that authors who’ve already published their own work might want to bring their own editors or designers. Georgia from Unbound says: If an author does have an illustrator or editor they have in mind, we always have discussions about this, and the best route to take. Robert has managed to be more laid back, and says he mainly raised awareness through Twitter. ‘None of my Unbound books have had traditional reviews. They’ve not been featured in the traditional press in any way I’m aware of. I do a great deal of public speaking and sell books after these events.’ Reality check: he has 130,000 Twitter followers. One of the features of a crowdfunding campaign is the extra rewards for higher pledges. So what do authors offer? And when they have to fulfil them, are they worth the effort? ‘This was a steep learning curve. My assumption was that everyone would go for the cheapest option and no one would go for the most expensive. The most expensive options (tickets to exclusive events) were sold out within a couple of days. These involved complex and costly arrangements that were very stressful although we managed to fill 90% of our obligations to supporters. For instance, a picnic at William Morris’s house – there were so many takers we had to do it over two days. Since this experience we have wound down the top-level promises to events that are a little easier to set up. All the same, Georgia confirms that some authors can be uncomfortable with the amount of self-promotion. But she provides some figures to help make the job more manageable. ‘The average book needs about 300 supporters. Authors have to be able to confidently pitch their book to their networks, including friends, family and colleagues. Some find it daunting to ask people they know to pledge money, so that’s something they have to really think about, and overcome if they’re to have a strong campaign. ‘The most effective way of driving pledges is through personalised one-to-one communication, usually via email. This does take a lot of time and effort, so authors find it helpful to create a plan and schedule. They then have to stick to it. It’s all about engagement, rather than broadcasting. If authors aren’t engaged with their fans, then they are less likely to see those fans pledging. Have you considered – or even tried – crowdfunding? Any thoughts to add? Questions? The floor is yours.